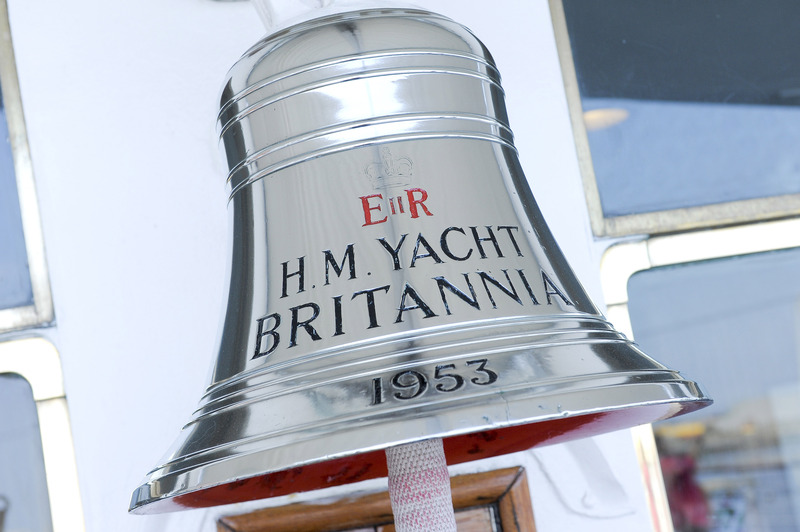 On 16 April 1953, The Royal Yacht Britannia was launched from the John Brown & Company shipyard in Clydebank, the start of a long and illustrious career. For over forty years she proudly served the Royal Family, sailing over one million miles to become the most famous ship in the world and playing a role in some defining moments of recent history. 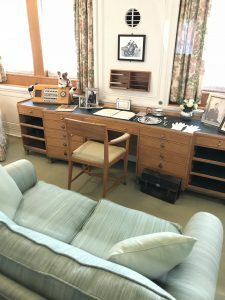 Now almost 65 years on we were up close and personal, learning her fascinating secrets and gaining an amazing insight into some very intimate and personal moments of the Royal Family and their distinguished guests over the years. 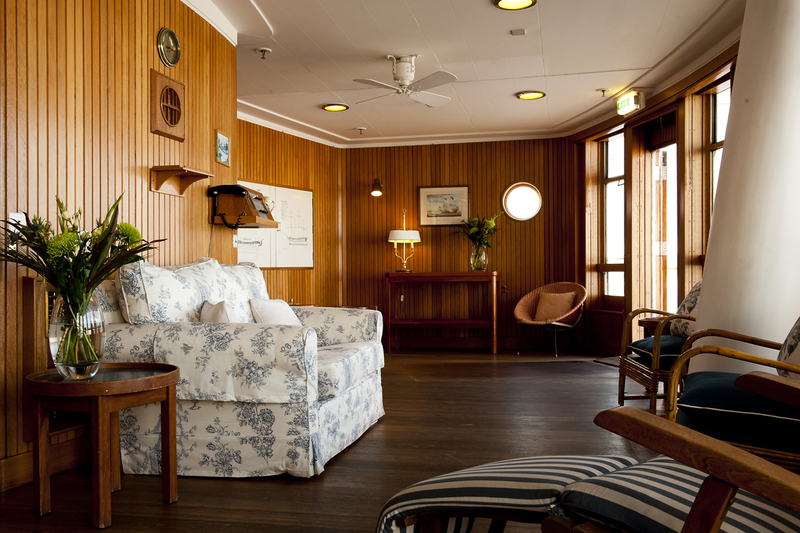 World leaders such as Sir Winston Churchill, President Reagan, and Nelson Mandela all spent time onboard the ship. The 12,000 horsepower Royal Yacht Britannia was decommissioned on 11 December 1997 in Portsmouth and opened her doors as a tourist attraction in 1998. Now an award-winning five star visitor attraction and exclusive hospitality venue, she is permanently berthed in Leith, Edinburgh, just 2 miles from the city centre. 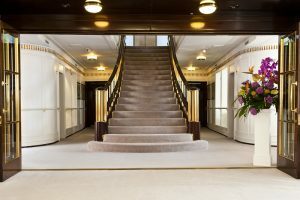 Making this an ideal destination for anyone visiting Edinburgh or staying nearby. 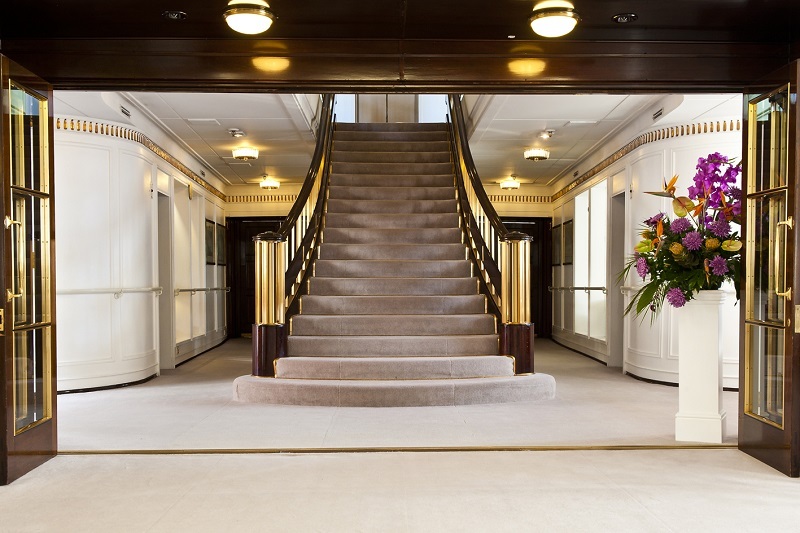 Our welcome on arrival was excellent and we immediately had the sense that we were entering a different world, rich in fascinating history and steeped in high standards of service and luxury. 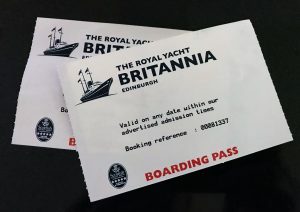 Before ‘boarding’ Britannia’s Visitor Centre provided historical background about the Royal Family and Yachtsmen and houses Britannia’s original Wheelhouse. 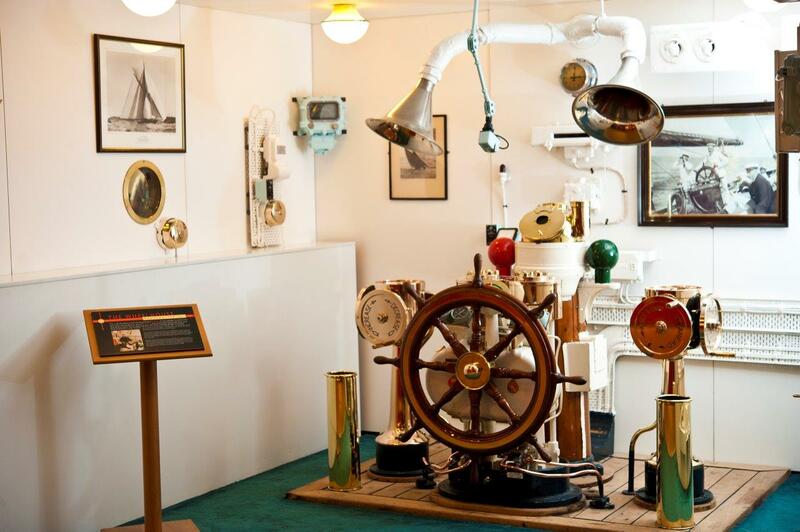 We collected an audio handset and continued our tour on board to discover the five fascinating decks. The handset was easy to use and not your usual headphone type style which can sometimes be temperamental. 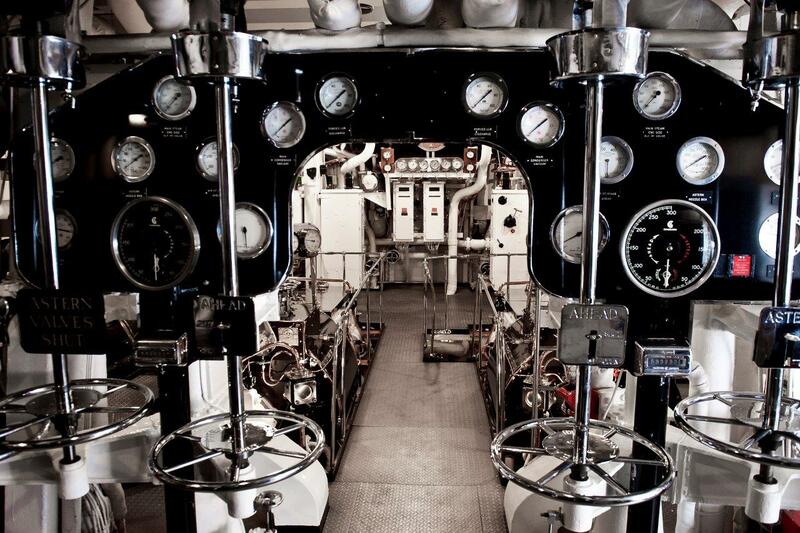 The audio tour is available in 27 languages, but we kept it simple and went for the English option! 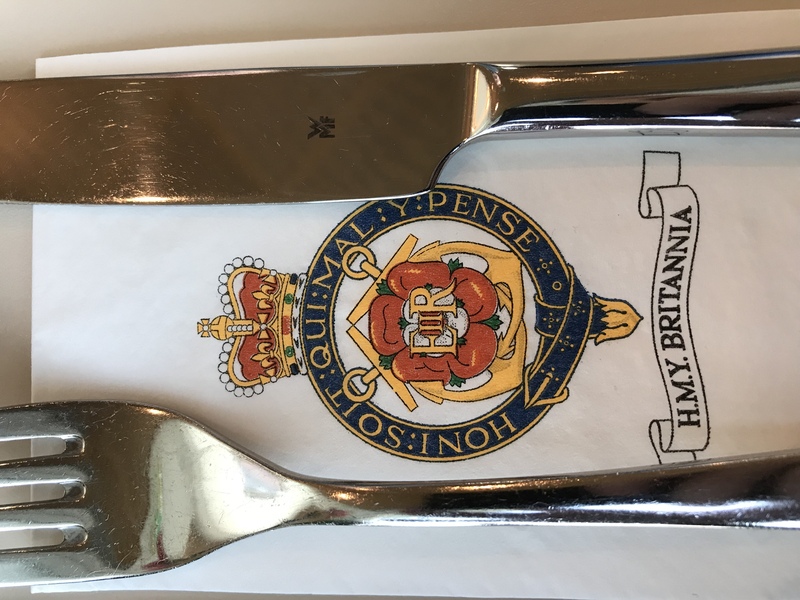 Overall, Britannia undertook 968 official visits, including the Handover of Hong Kong and in 1986, the Royal Yacht rescued over 1,000 refugees from war-torn Aden in the Republic of Yemen. 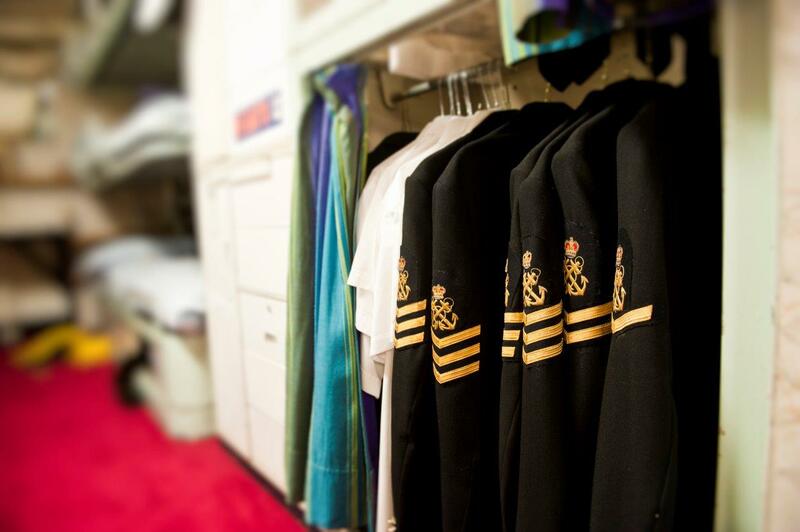 With so many visits and assignments the ship is littered with amazing stories and artefacts and souvenirs. 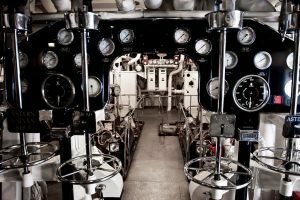 It is so much better to learn the stories as you explore the ship starting so we won’t spoil the experience in this blog. One snippet of information worth sharing is that for a state visit, five tonnes of luggage, from The Queen’s jewels to bottles of Malvern water for Her Majesty’s tea, was brought on board; pretty much similar to what we end up taking on our travels! 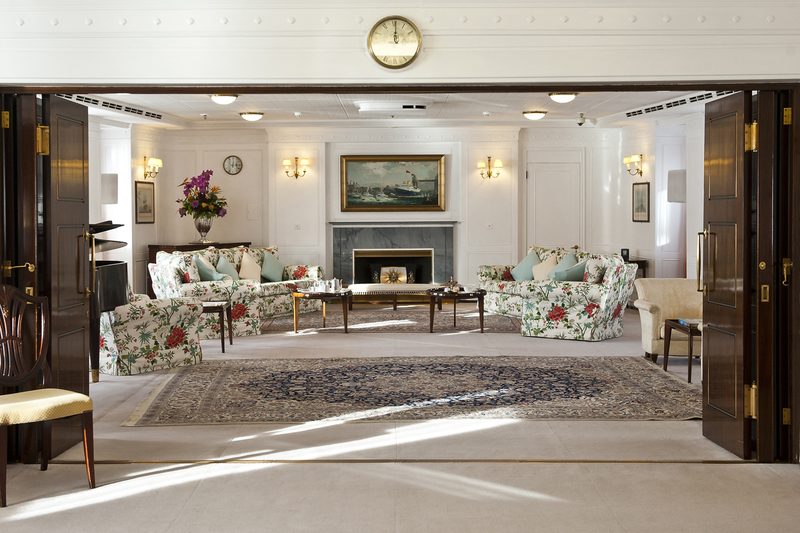 Highlights of our visit included the Sun Lounge, the State Dining Room and The Queen’s Bedroom. 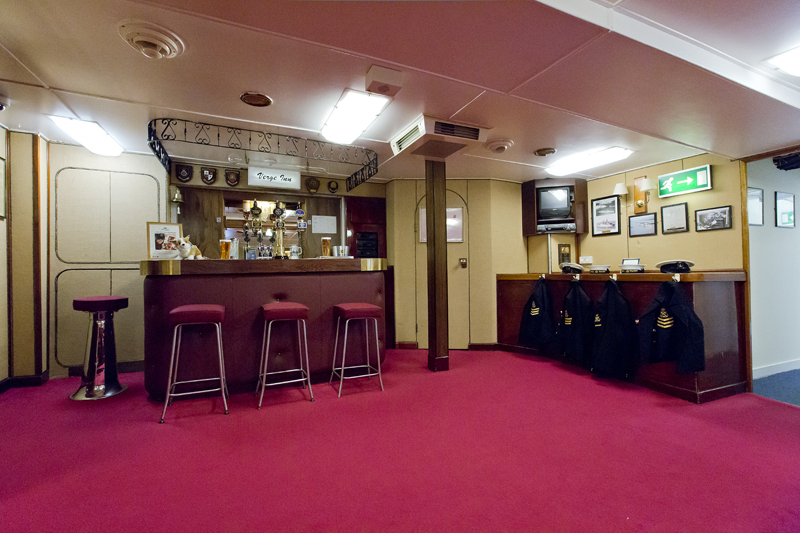 These areas are simply a world apart from the working side of the ship, including the Crew’s Quarters, Laundry and gleaming Engine Room. 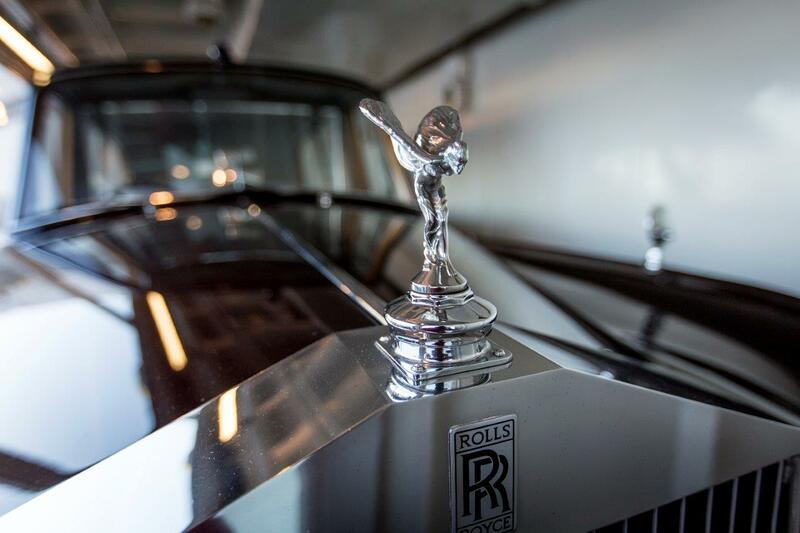 No ship of this splendour should, of course, be without its very own Rolls-Royce Phantom V! 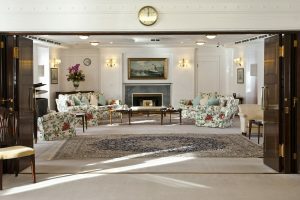 Even although you do feel a slight sense of intrusion, there is something unique in being able to peer in on HRH The Queen and HRH The Duke of Edinburgh’s bedrooms and personal study areas, not to mention the bedroom where HRH Prince and Princess of Wales spent their honeymoon in 1986. 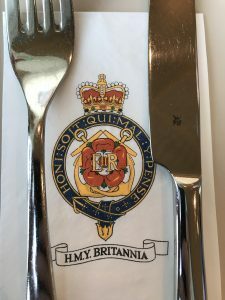 Apparently, Britannia is the only place where you can visit the bedroom of a living British monarch. We’ll leave that one for you as a surprise! We were fortunate that we had a whole afternoon to explore the Ship at our own pace meaning we were able to relax and take our time enjoy the harbour views from the Royal Deck Tea Room. Offering stunning views, exceptional service, Britannia’s Royal Deck Tea Room provided a tempting choice of cakes, scones, soups and sandwiches. 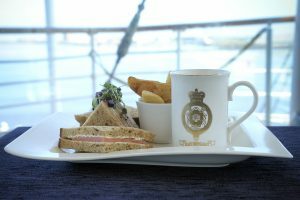 Traditionally, the Royal Family used the Royal Deck for cocktail parties and receptions – but here we were enjoying a wee sneaky soup and sandwich! 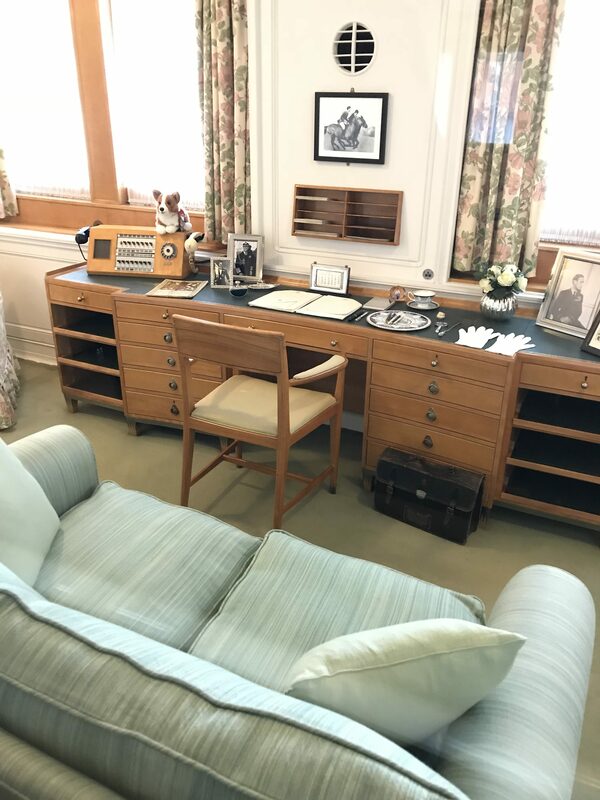 As we came to the end of the tour, there was a great opportunity to refuel by indulging in Britannia’s delicious home-made fudge in the NAAFI sweet shop. 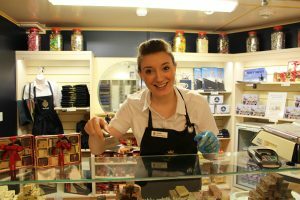 We would highly recommend the chocolate orange and the raspberry ripple flavours, although we can’t promise that you’ll have any left for the journey home! Ours were gone in a flash. At the end of the tour we also had the chance to visit the Royal Sailing Exhibition and visit the Royal Racing Yacht Bloodhound. 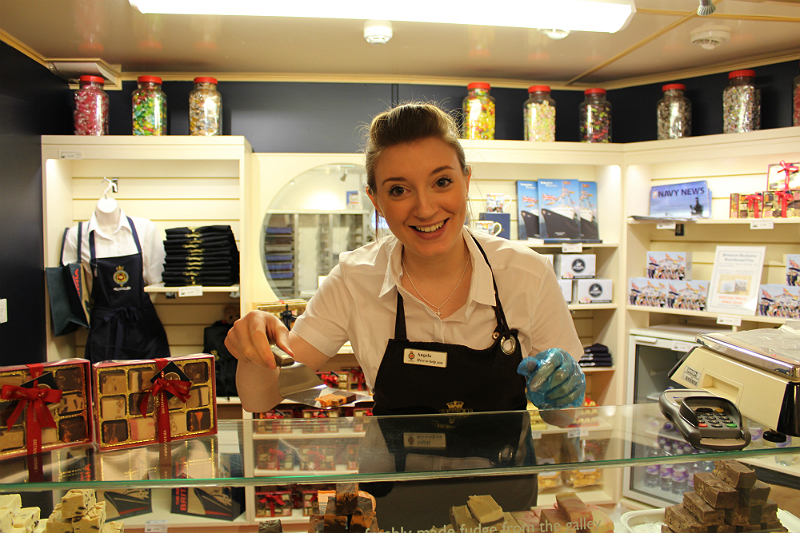 As you would expect visitors can browse in the gift shop, which is fully-stocked with Official Royal Collection china, Britannia memorabilia, toys, books and gift ideas – something for everyone. 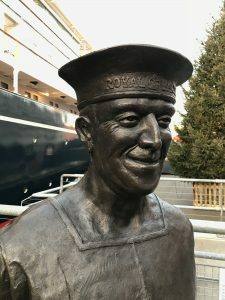 To be honest we had so much fun on the ship we didn’t really have enough time to explore the exhibition or gift ship, but they are certainly worth a visit. 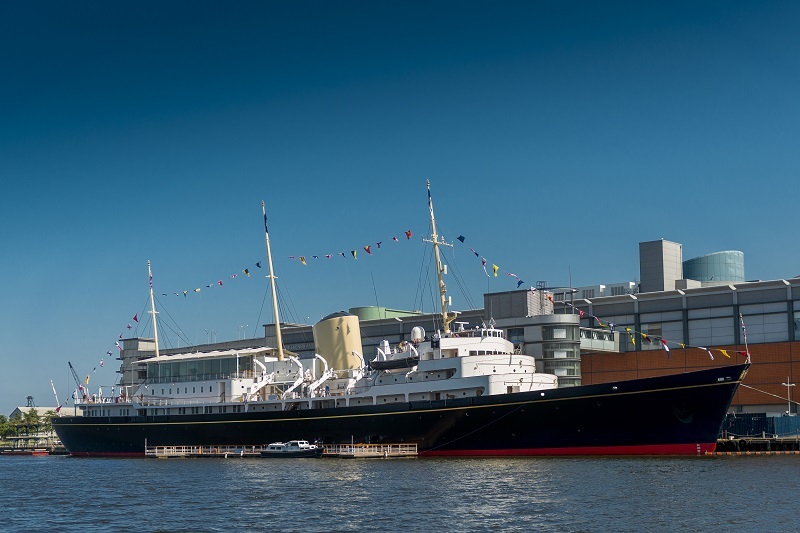 For the last twelve years, Britannia has officially been rated Scotland’s Best Visitor Attraction by VisitScotland and for four years, has remained in TripAdvisor’s Top 10 UK landmarks. 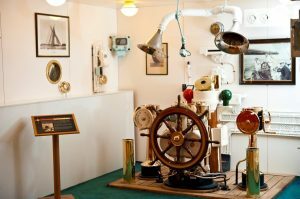 After our ‘afternoon at sea’, it is easy to see why this is the case as it is easily one of the best attractions we have visited on our travels. This video gives you a glimpse of what’s you’re likely to see. All the up to date visiting information you need can be found here. 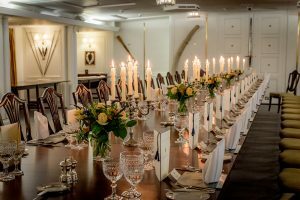 Britannia is open year round and is also an exclusive evening venue. 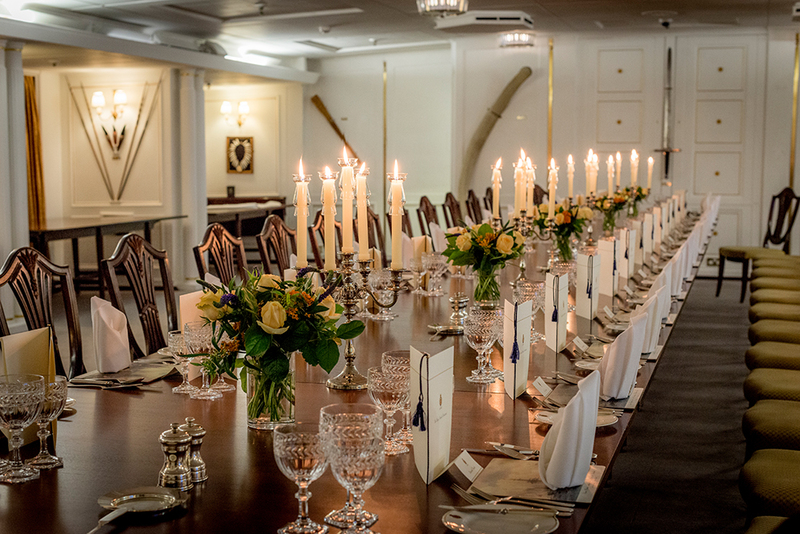 Drinks receptions for up to 450 and dinners for up to 196 can be hosted in the State Apartments and Royal Deck on board, where an exceptional level of quality, service and hospitality can be delivered. 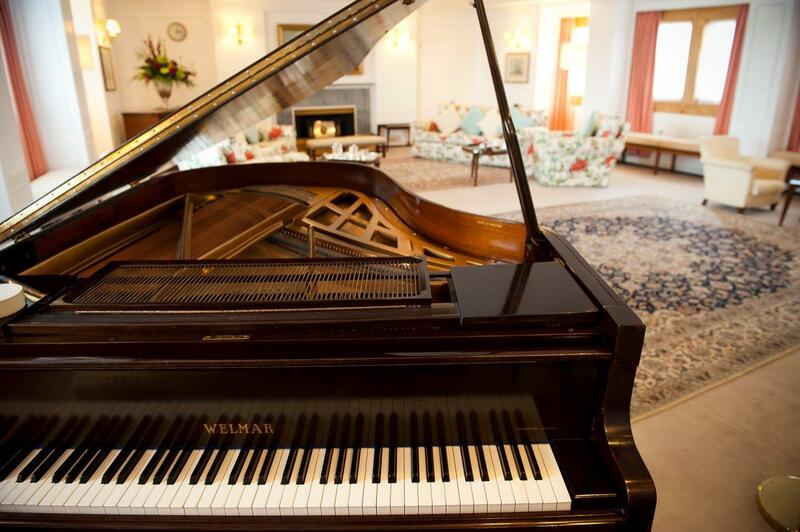 Now if only we had a reason to host an event! 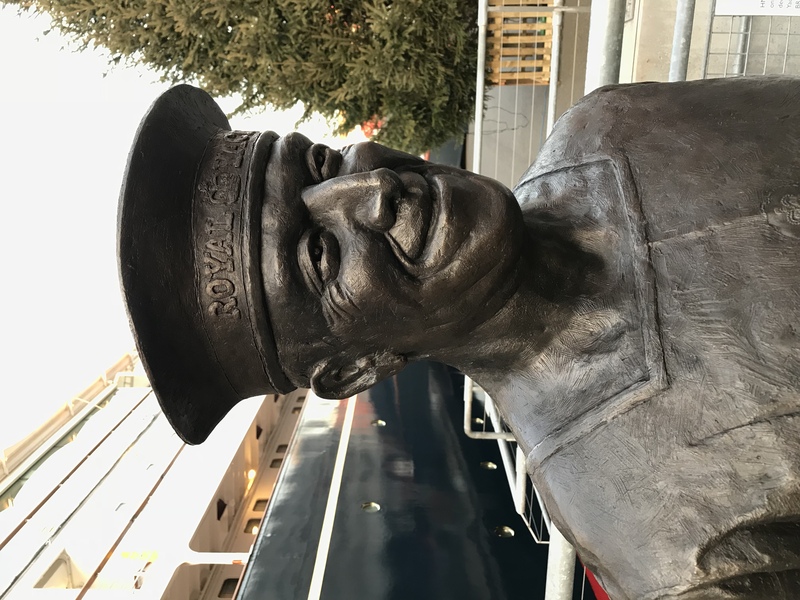 Thank you to the The Royal Yacht Britannia for providing some pictures (© Marc Millar, © Helen Pugh, © Ruth Armstrong) for our blog. 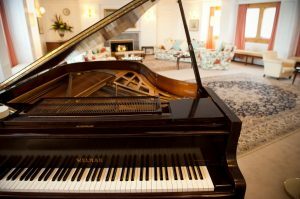 We were so wrapped up on the experience we never took as much as we would have liked. 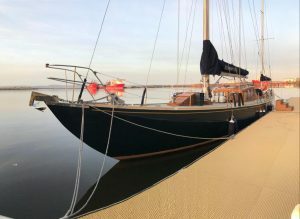 This was a sponsored visit, however, the review / article is an independent, honest and true reflection of our experience.